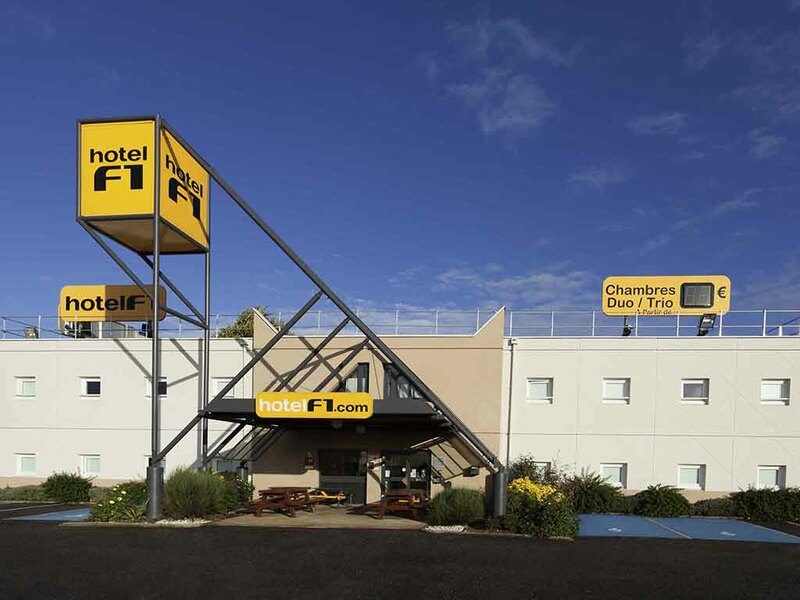 hotelF1, the new generation of low-cost hotels in France. Affordable enclosed car park and free WIFI, accessible 24/7. Duo and Trio rooms available for your business or leisure stays. Spacious and well-equipped shower and bathroom areas. A central dining area to enjoy the unlimited breakfast buffet and vending machines. Enjoy the journey with hotelF1!